Be Virtuous, Be Giving, Be Positive and allow your actions to come from a place of Loving Kindness and all you may be looking for will be found. Let everything else go; desires, judgments, conflicts, friction, ideas. Let it all go and remain calm and centered in all you do, focusing on understanding, connection and mutual respect. Hope you are enjoying this beautiful colorful, warm Monday! October 27th – Rest Yoga & Acupuncture with Reiki and Ess Oils 7-9pm – Only One Spot Open at this Time! It feels wonderful to be wide awake on this glorious November morning. Setting an intention can be extremely powerful, not only for your yoga practice but for your day, your week or your life. With an intention set, our mind seems to calm down and we can rest in the fact that we know we are doing the right thing; that we are on course. Get ready to detox your body and mind making room for your spirit to soar in this fun, flowing fast-paced vinyasa class set to rockin’ music! This class will be intentionally challenging and is open to all levels ready to take their practice up a notch! Minimum of four students required for class to fly! Let’s make it happen, please sign up as soon as possible. Blessings to you all this Summer Solstice weekend. 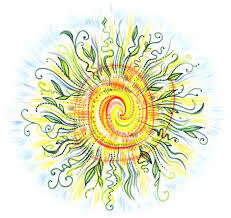 Enjoy the power of the sun as it burns brightly around us as well as in us. Let us meditate on the light of the sun which shines on the earth, sky and the space that represents the divine power and giver of life. May this powerful light illuminate our intellect to make the right decisions at the right time for the good of all beings. May this divine energy lead us on our true, right path. 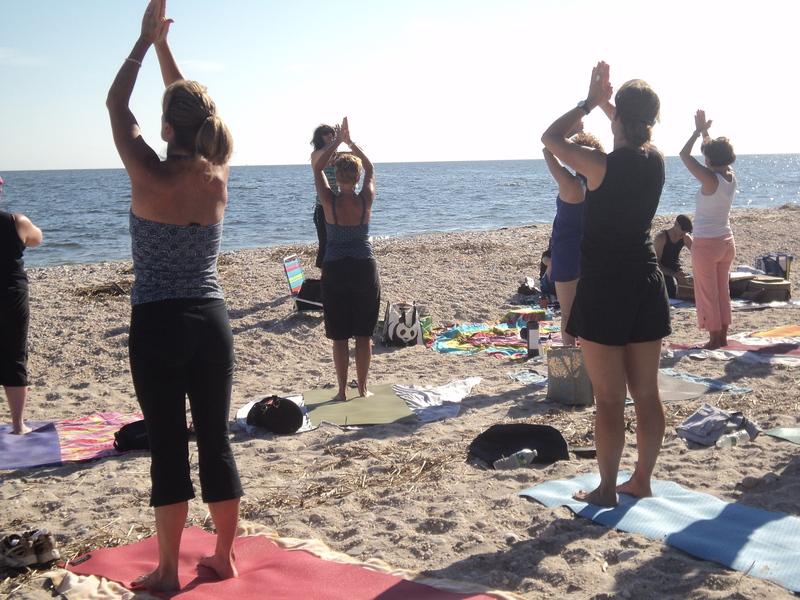 Yoga Darshana Center is hosting their Restoration Retreat at Camp De Wolfe in Wading River in which I will be attending as well as leading a class. This is a great way to experience the joys of a retreat experience right in your own backyard. Rooms are filling up fast. Click on the link to reserve your spot. http://yogadarshanacenter.com/restorationretreat.html There are very few spots left for this retreat, so please sign up soon if you are planning on attending. I can’t wait for this…. 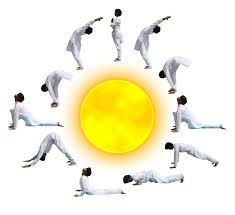 Hatha Yoga is to connect and balance the elements of the sun and moon that lies within us. 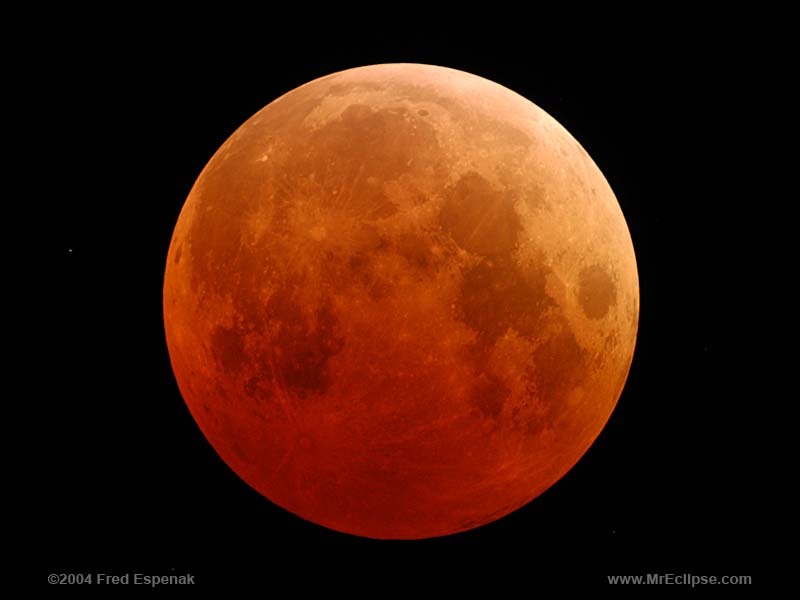 In the early morning hours there was a full moon lunar eclipse. This astrological event is both mysterious and powerful. The energy of the full moon reminds us that we are complete, whole and abundant exactly as we are. As the full moon reflects the brillance of the sun, our energetic, powerful “Ha”, sun element shines through and lights up our receptivity “tha” moon energy. The sun and moon are deeply connected as is illustrated as the earth moves in front of the sun and changes the color of the white moon to a dark red filtering a small amount of sunlight on its surface. This ha and tha energy within us are deeply connected as well. The full moon reminds us that all that has occured within our lives in the last month has led up to this moment. It is a time to sit back, watch, allow and let it all be. There are times for action in our lives and a time to let go. Within our asana practice there are times of expending great effort to release energy, wake up our bodies and quiet our minds. 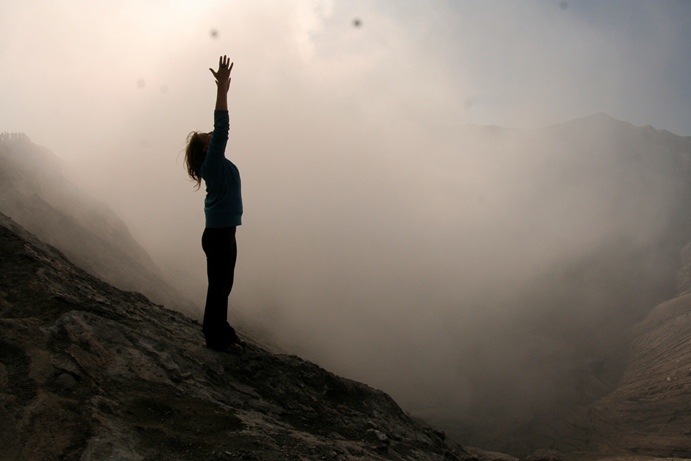 There are also times when we hold the pose, release in relaxation, sit still, let go and trust the process. This ebb and flow, giving and receiving creates the balance we so long for in our lives. We simply cannot hold on to pleasure or force pain to go away, try as we might, we must accept as best we can the process. Just as the moon cannot possibly hold on to its fullness or emptiness, we must let go and allow our lives to unfold; trusing the phases of waining, waxing and fullness to bring us to wholeness again.